Please do not ever compare your life with that of someone else and especially based on what you see on social media. Always, always remember to be kind to yourself; your body hears everything you say, so make sure you only send out positive messages. We all have our days of feeling bogged down and not so confident, but what's important is to remind yourself of all the awesomeness within and around you. I've not always been this confident; it's taken me multiple years to learn to be comfortable in my own skin and trust me when I say it's the most amazing and liberating feeling in the world. Lastly, remember what they say, believe in yourself and in magic because if you don't, then who will! I want each and every one of you to know that I'm always here for you guys...Just a message and e-mail away! 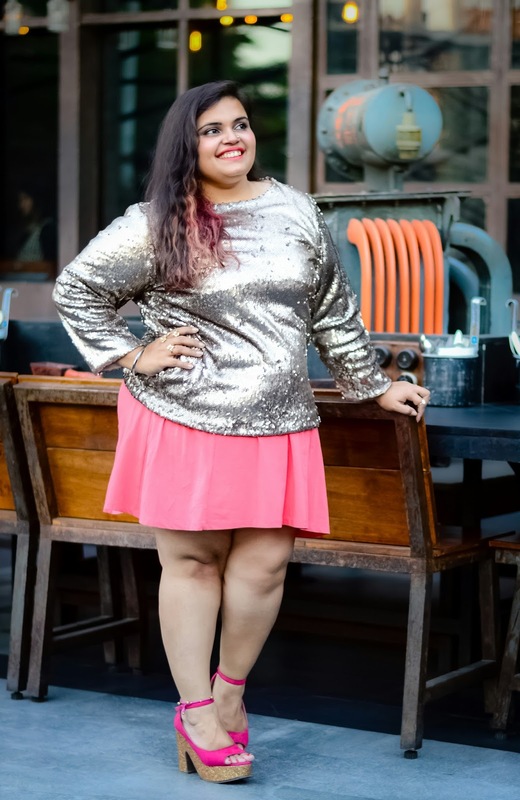 Speaking of style, I've always said wear what you like with confidence and a big smile and you cannot go wrong. 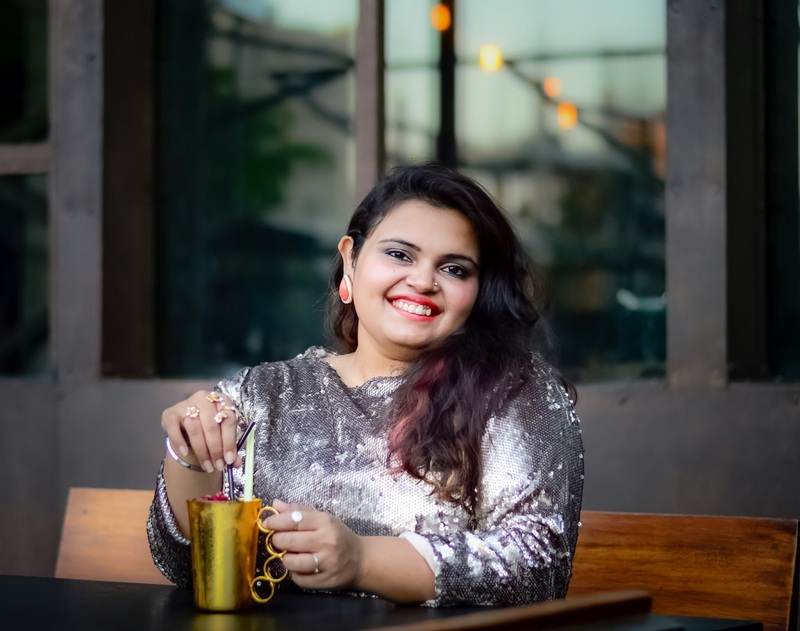 Echoing these sentiments is one of my absolute favourite brands, Calae! 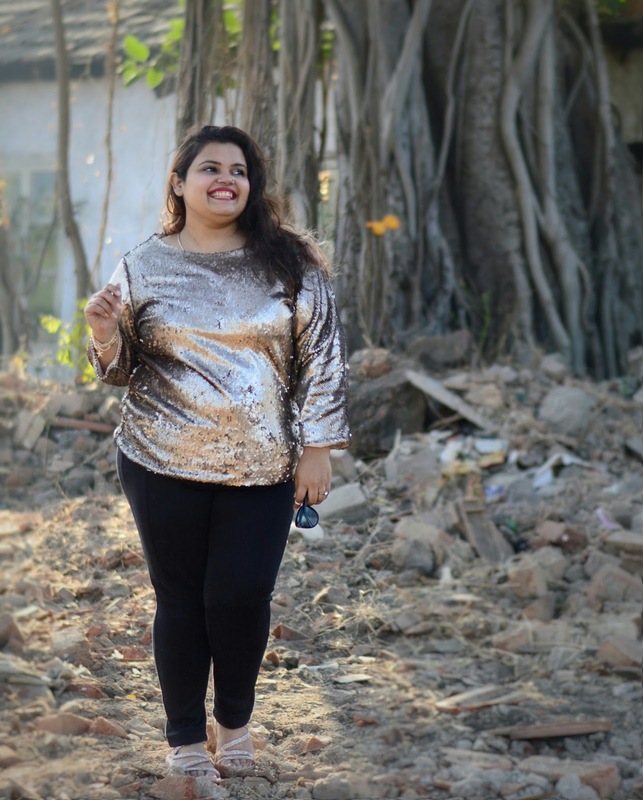 A revolutionary pilgrim for plus-size clothing, Calae has taken it upon themselves to not only encourage but also empower curvy women to be comfortable in their own skin and flaunt their curves. 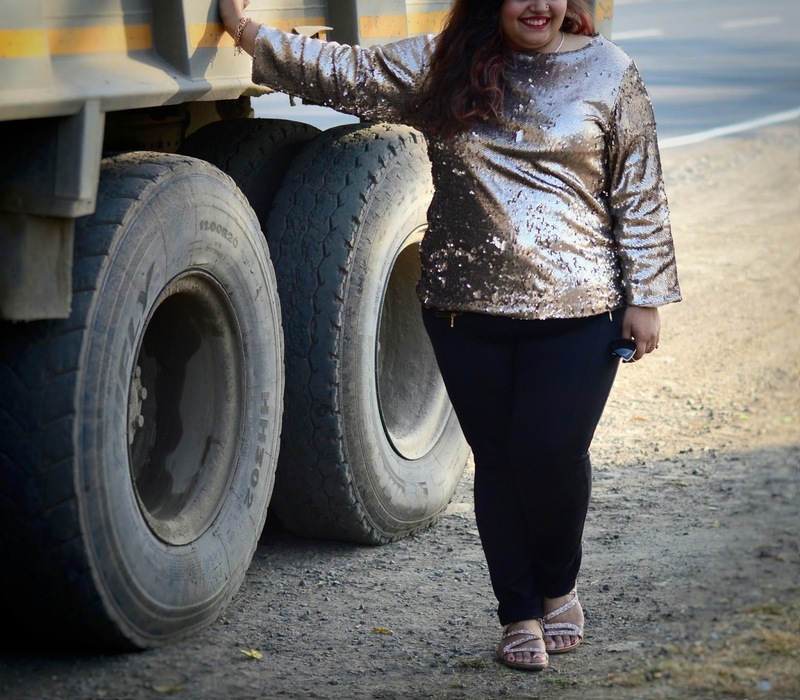 In fact, they've recently released a campaign #IAmCalae and I'm urging each of you plus-size divas to come be a part. 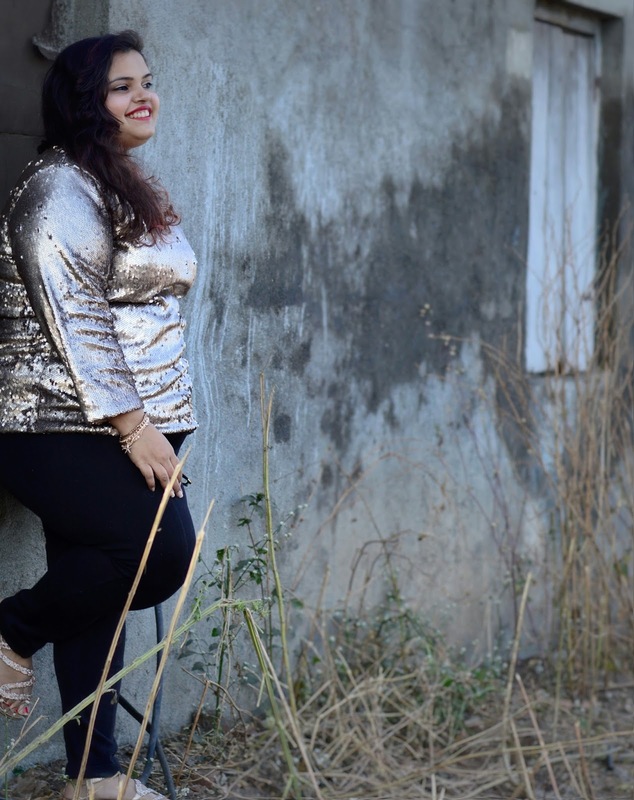 Share your body-positive stories and your stylish best pictures using the hashtag #IAmCalae with the world! 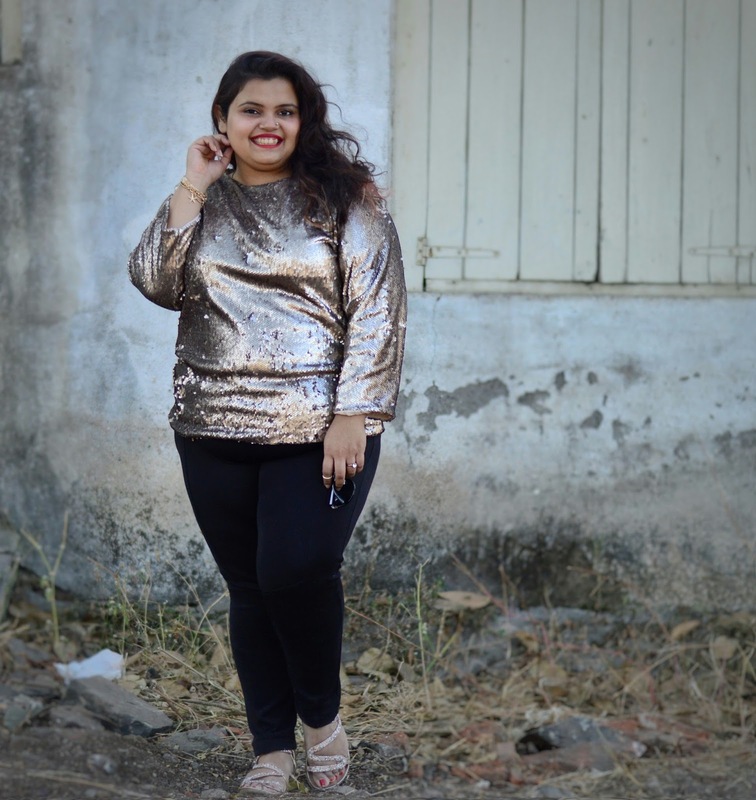 Coming to the look in this post, you guys know my obsession for sequins and how I cannot resist buying anything sequinned. Thus, when I came across this Spencer Hastings Sequins Top on www.calae.com I had to buy it! 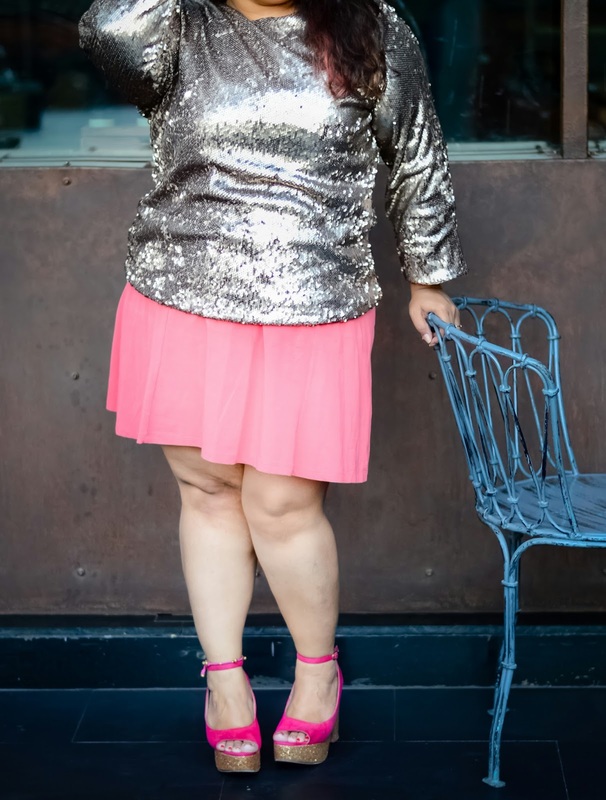 (Outfits on this amazing website are available from sizes 14 to 24!) 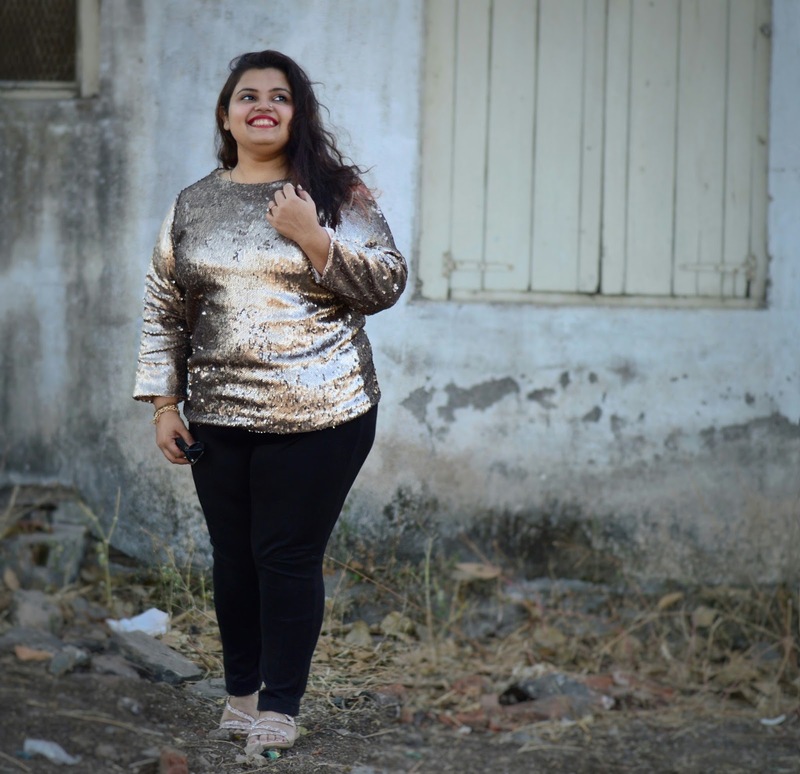 The size 16 fit me fabulously and given how stunning the sequins looked, for the first look I decided to keep things extremely simple. 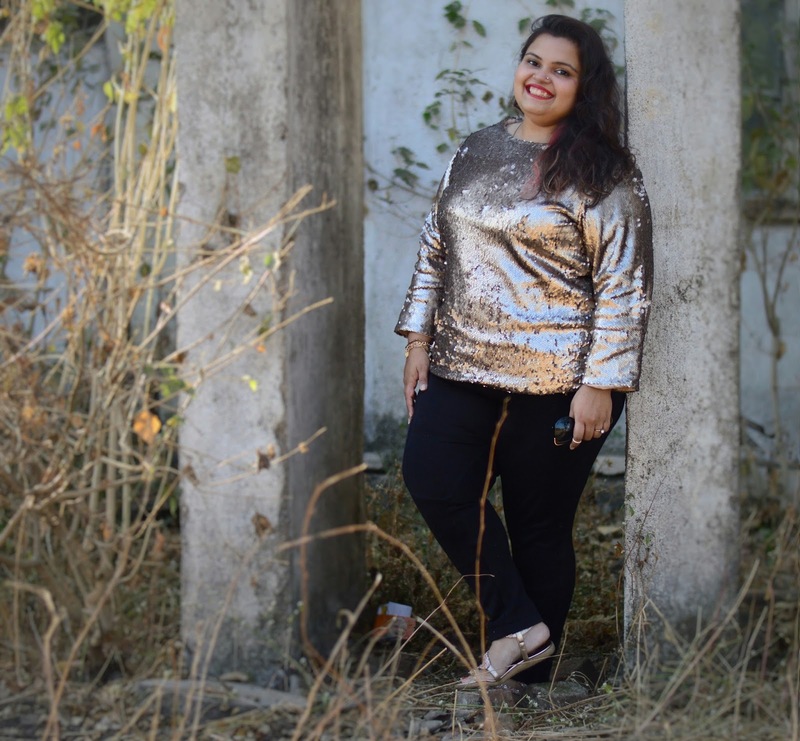 I paired the top with black jeggings and strappy gold flats and wore red lipstick for some extra glam. This would be my ideal go-to look when aiming for style + comfort! You guys also know how much I enjoy styling the same piece of clothing in multiple ways to create different looks. 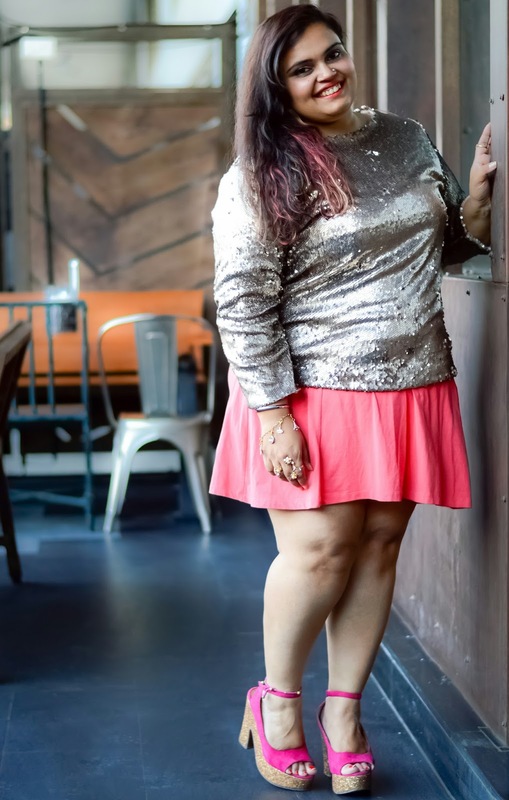 Heading out for drinks one evening with friends to The Urban Foundry, I wanted to create a funky look with the sequinned top and so I wore it over a dress (giving it a skirt look). [I've worn this dress in a previous blog post - http://bit.ly/2iwPMWx] To further complete the look I opted for shimmer wedges along with some simple earrings and rings and I was good to go! Clearly, purchasing something from Calae is more like an investment given the amazing quality, fit and versatility of the outfits. Do check out the website for some major retail therapy! Wishing you a guys a brilliant end to 2016 and an even better start to 2017! Lots of love - M! Really loved the body positivity message you are sending out . First post of 2107 from my favourite blogger! Loved it....meenu darling, ur my lady with a class apart....love u!